Propolis has been utilized in Bulgarian folk medicine for many centuries, mainly for slow healing wounds. This abstract will aim to describe the role of propolis in the case of a leg with gangrene. Propolis can affectively stimulate the granulation tissue, and speed up the recovery of slow healing wounds. In this case, I initially applied an ethanol–based propolis (after evaporation of the alcohol) on the wound on a daily basis. After, I applied herbal ethanol propolis extract and herbal propolis ointment. The wound was dressed and packed with propolis-herbal soaked (dry) gauze. The herbal propolis ointment was applied on the edges of the wound and around. During the treatment, regular surgical debridements were utialized when required. After almost six months of intense daily treatment using the methods described above, the wound finally closed and the leg was saved. This case showed that this type of dressing is very suitable for slow healing wounds containing a lot of necrotic tissue. Barely any antibiotics were required during the wound’s treatment. Even for a challenging case like this one, the propolis worked effectively. The final result is that this type of dressing is one of the most effective known to me for these types of wounds, which can be a field for further research. ISNAD ENTCHEV, Plamen . "Application of Propolis – Herbal Ethanol Extract and Ointment for a Leg with Gangrene (Clinical Case)". 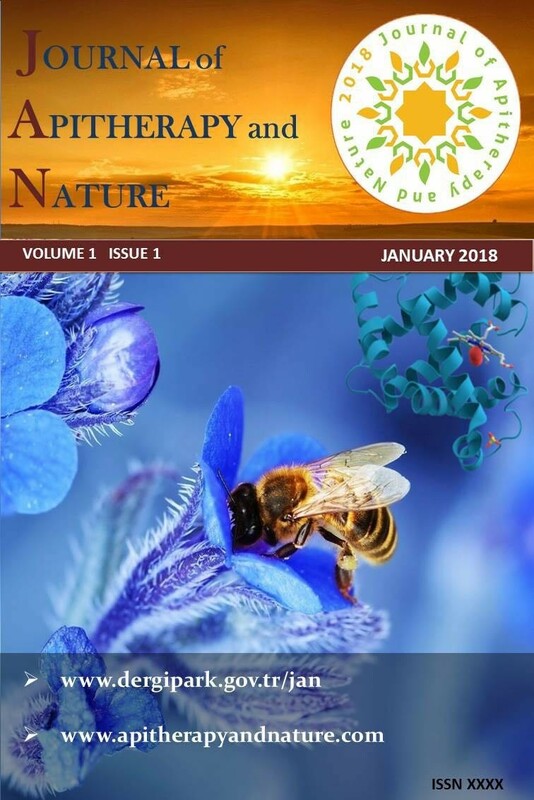 Journal of Apitherapy and Nature 1 / 3 (December 2018): 12-12.